This option provides the fixture with a top supply. This typically will feature a threaded top spud on the fixture to mount a exposed top supply flush valve. This option is intended for the supply line to pass thruogh the wall. This typically will feature a rear spud on the fixture to mount a concealed top supply flush valve. Designed for conservation, the toilet flush valve supplied operates with 1.6 gallon (6 liter) per flush. Standard supplied flush valve for toilet or comby uses 3.5 Gallon (13.2 Liter) per flush. With concealed flush valves, when specified, Acorn will provide a code approved valve with vacuum breaker and wall mounted lever handle. Chrome-plated brass cap nuts with self locking washers are provided allowing the fixture to be secured from the rear. This option is designed for use where rear access is available. Bedpan lugs are integral to the closet fixture and helps with the positioning the bedpan during cleaning. The lugs are available for both vitreous china and stainless steel . This option provides tamper-resistant cap nuts. The cap nuts are recommended for attachment of the wall flange of Acorn Dura-Ware toilets to the fixture supporting studs. This option will make the housing of the fixture constructed of fourteen gage material. Fourteen gage material is .078" thick. This option is typically for heavy duty fixtures which range from 16 to 18 gage. 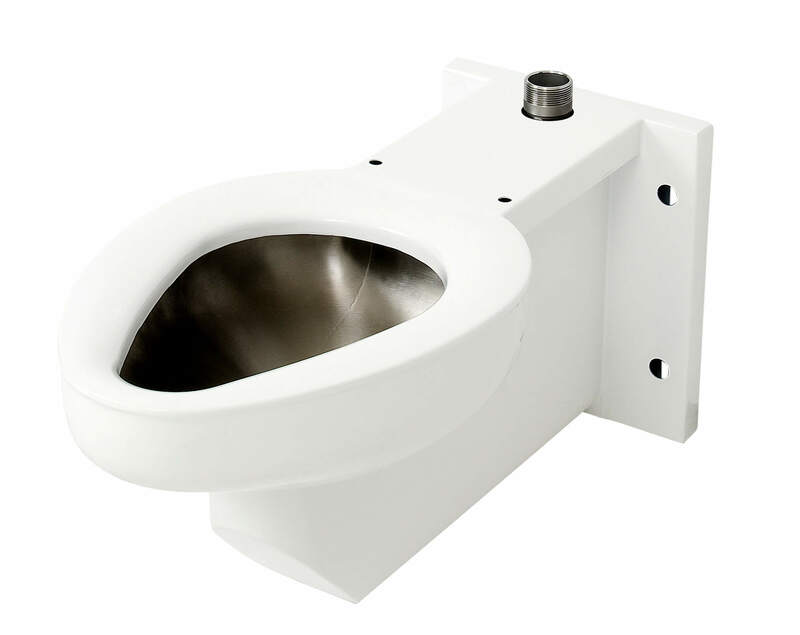 When specified, Acorn will provide a open-front white plastic, hinged toilet seat. Although these seats offer obvious sanitary advantages, they are not tamper-resistant. Seats are available in a variety of styles. Shipped loose. This option includes a white plastic, hinged toilet seat with a cover to enclose the interior of the toilet bowl. This type of waste tubing provides a gastight and watertight seal without the use of a waste adapter. 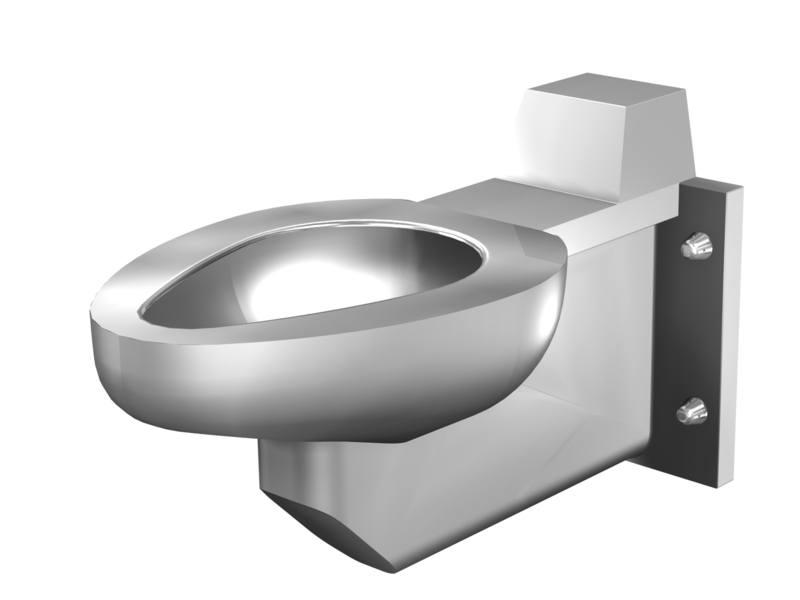 This option provides two punch holes for installations of toilet seats and seat covers. This option is for the electronic valve system, namely Master-Trol and Time-Trol. The system is 24 VAC and this transformer is hardwired. Transformer is mounted to plate that fits junction box to cover connections. This option intended to inhibit hardware, such as screws, washers, nuts & bolts, debris or other foreign material from being deposited inside the fixture bowl during construction leading up to startup in order to preventing damage to fixture finish. 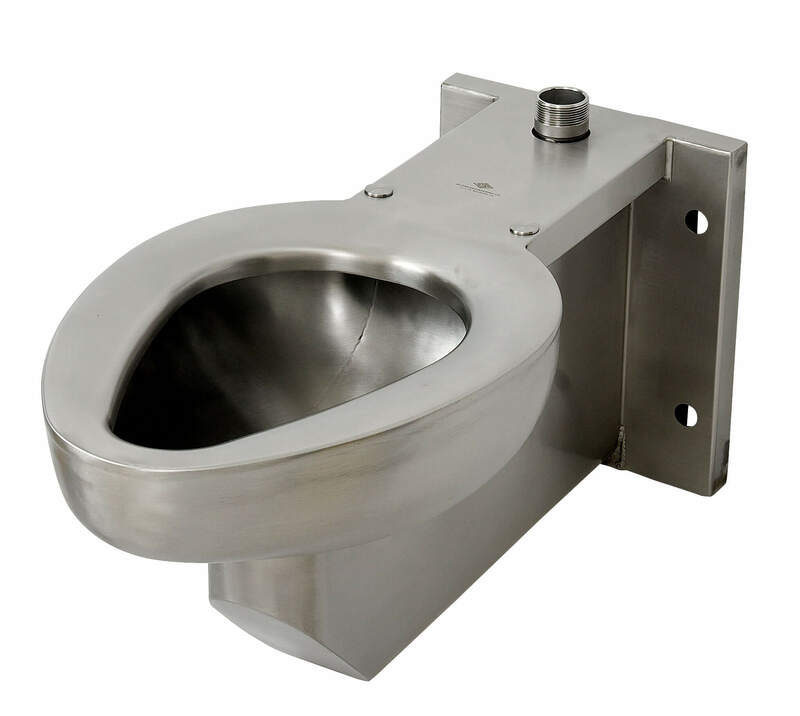 Toilet shipping cover is fabricated of 18 gage galvanized steel. Sister company Acorn Vac supplies means to evacuate plumbing waste through a vacuum system. The interface of atmospheric pressure at the toilet bowl and a constant vacuum pressure in the waste piping network provides a highly efficient flush, using only half gallon (1.89 liter) of water. When the push button is activated, the Extraction Valve opens, allowing atmospheric pressure to push toilet waste into the vacuum piping and toward the vacuum center. A water valve is simultaneously activated, allowing the toilet to be rinsed and refilled.